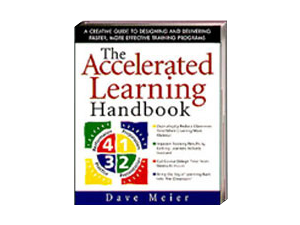 A creative brainstorming tool to get you off to a quick start in creating highly effective learning programs. 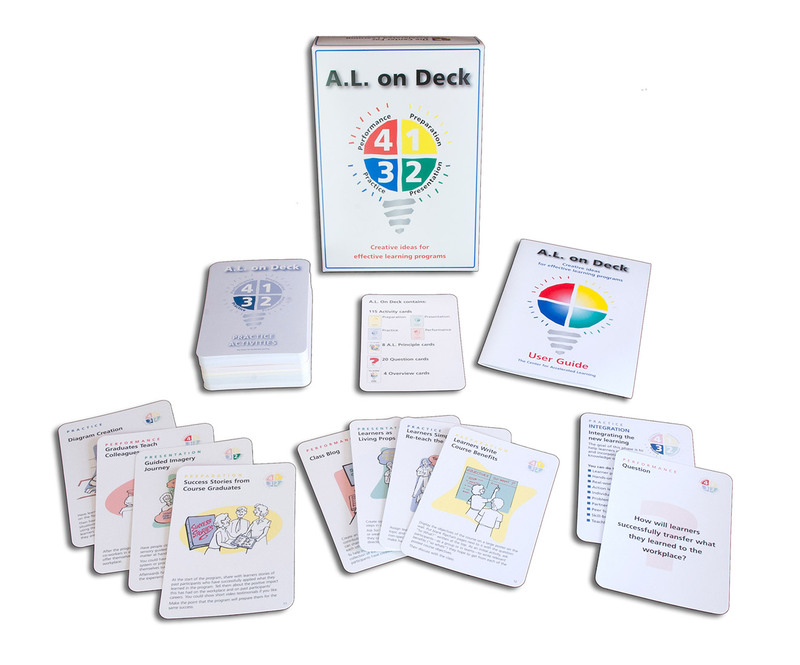 AL on Deck is a creative brainstorming tool to get you off to a quick start in creating highly effective learning programs. 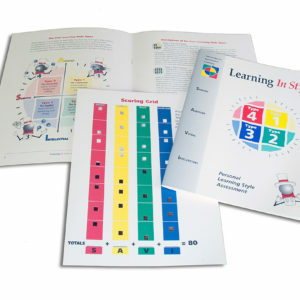 A deck of 147 giant, colorful cards bursting with activity ideas for getting people totally involved in learning. Included are cards that review A.L. principles and others that guide you in building solid A.L. designs quickly. What will it do for you? The deck will give you quick ideas to help make your programs more engaging and more effective. 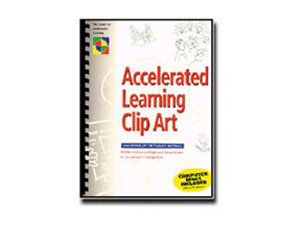 Use it to speed your designs, to get fresh inspiration and as an A.L. refresher and training tool. It’s all a matter of how you play your cards. 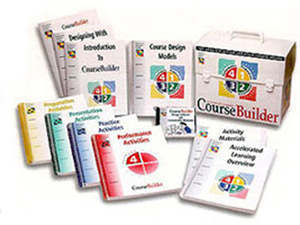 The giant deck can be used as a stand-alone tool to help you generate great ideas for learning activities, or as a front end to the Accelerated Learning CourseBuilder for designing complete learning programs quickly. 20 Question Cards to help you use all the ingredients of the accelerated learning process for a full and effective design. 8 Accelerated Learning Principle Cards summarizing the major principles of A.L. that you can use both as a refresher for yourself and a teaching tool for others. AL on Deck User Guide Containing suggestions for using the deck effectively.